There are no up and coming babies that I know of in my family but I thought this Noah's ark stamp I have is so cute that I really needed to finally use it. I first heat embossed the stamp with WOW embossing powder then I used my alcohol markers to color the stamp. 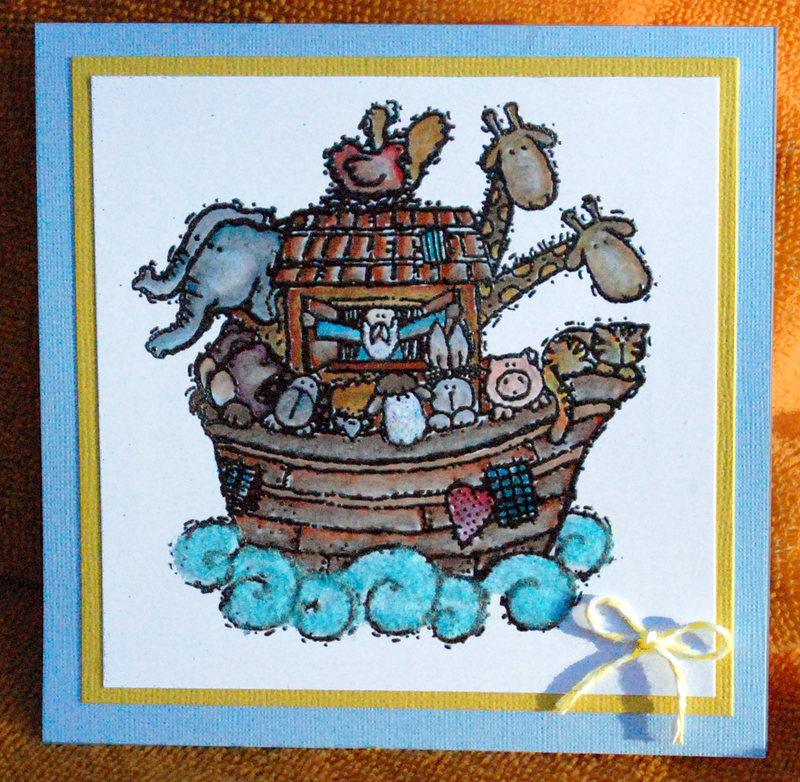 I added some fun details such as clear glitter to the sheep and Noah's beard plus flocking to the waves. I brought everything together by layering my card front and adding a little yellow and white twine bow. Thank you so much for visiting Lorby's World today and leaving a comment. I'm a true jack of all trades and master of none, so please check out my blog regularly to see what I've done.